Superb, uncompromising 5K image and true colors. Thanks to high-density OLED displays and exceptionally clear custom-built lenses, you see the finest detail. With 180° diagonal FOV, no blurring, and spatial 3D sound from a built-in sound card, you’ll forget there’s another reality. XTAL will completely immerse you, whether you are training or in a simulation. 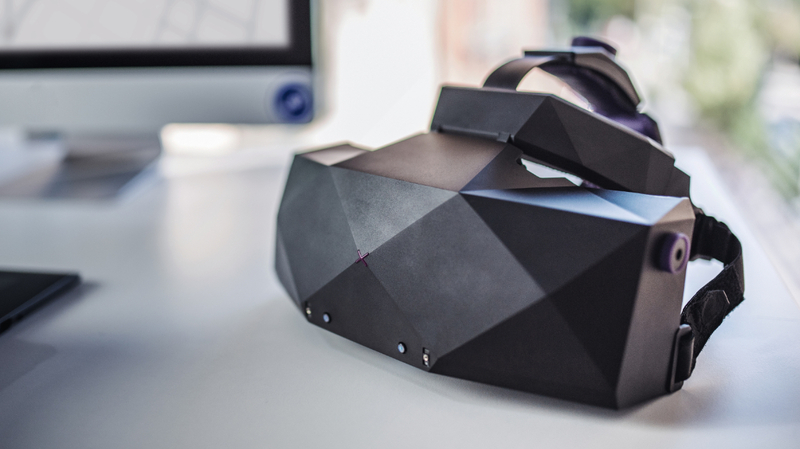 XTAL detects your eyes and automatically adjusts the lenses for optimal image quality and VR experience. Great if you need to switch users often. The embedded new Leap Motion hand-tracking sensor allows users to interact with a VR scene naturally with their own hands. Built-in support for voice commands for unprecedented ease of interaction in VR. 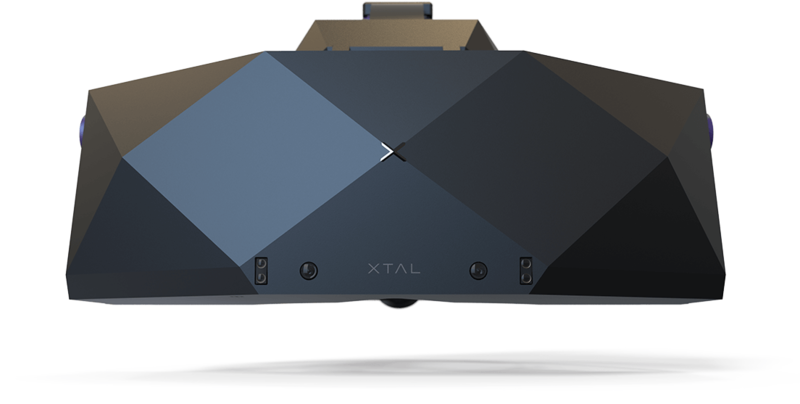 XTAL’s built-in microphone and voice recognition software bring voice commands into any VR scene or app. Forget browsing through clumsy menus, just say it. Secure, durable, and ready to be deployed in any corporate IT environment. Works seamlessly with a growing number of professional software tools. Easily integrates with proprietary systems. Ready to work on your desktop or in a VR setup the size of a football field. XTAL supports a full range of tracking systems. Fully integrated in Autodesk VRED to provide unsurpassed visual fidelity in real-time rendering and allow those designing, prototyping, rendering, reviewing, training and presenting to do so with limitless possibilities in the best possible virtual quality. Direct integration into VRED environment enables users to start using the XTAL immediately. Using capabilities for advanced immersion, users can touch everything and estimate the real distance between tools, without the need for handheld controls. 3D models in best possible crystal-clear, true-to-life image quality. Enabling Enterprise VR is all about partnerships. Together with these industry leaders, we dream up new ways of employing VR at work and translate them into professional VR solutions.